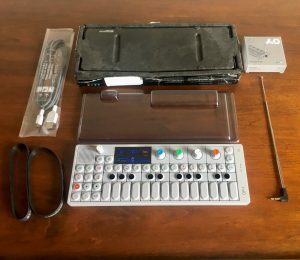 “Teenage Engineering OP-1 Keyboard Synthesizer + DECKSAVER + ANTENNA. Condition is Used. Shipped with USPS Priority Mail. I’ve had this OP-1 for the last year and have used it to record a bunch of songs that I think turned out great. Only selling it since my music has since gone in a different direction.